This is the third bottle of Southern French Red Wine I had this summer. 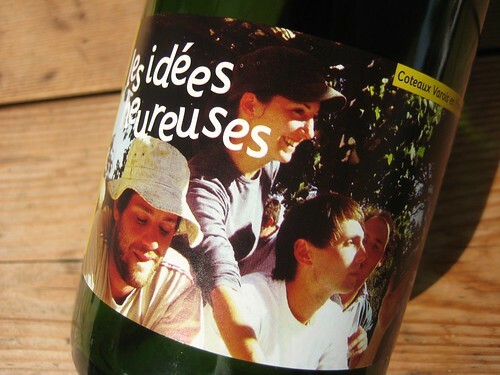 Unfortunately I lost my notes on it, but I thought I should still share these pictures of an unusual and poetic label that genuinely reflects a relaxed summer in the Provence. 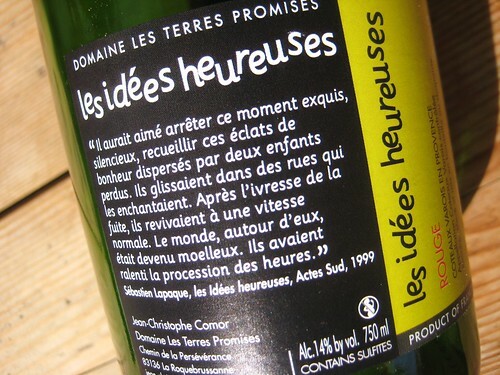 About the content of the bottle, as far as I remember it was a well made everyday red wine with lots of sun in the bottle that “Les Terres Promises” vinified here. I think the label very well explains for what kind of ambiance this wine is intended for; I took it as an “instruction manual” and it worked.